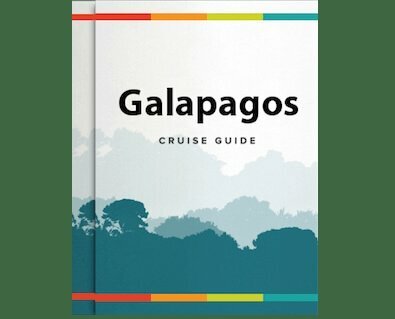 One of Rainforest Cruises’ Galapagos offerings, the Galapagos Sky Live-Aboard Dive Boat, is now being used to assist scientists from the Galapagos Science Center to see if the Galapagos Marine Reserve, a conservation project established in 1998 on a provisional basis, is fulfilling its goals. Fifteen years on, a barometer of the Reserve’s success is how well – or not – the Blacktip Sharks are doing. How so? Well, Elasmobranchs(sharks and rays) are top predators and the keystone species in their ecosystems, and therefore serve as sentinels for the general health of the ecosystem and its community. Participating in the beginning phase of a shark conservation analysis, the Galapagos Sky will help gather data on the diversity, abundance and habitat distribution of these beautiful animals. Using tagging and acoustic telemetry, the scientists will investigate habitat use and movement patterns of juvenile Blacktip Sharks. The resulting data is expected to reveal where Blacktips migrate to after leaving their nursery grounds and where and how extensive the nursery habitats are in the Galapagos Marine Reserve. The project is calling on local volunteer professionals, including students, who in turn will educate and facilitate next-generation biologists and conservationists. Using underwater photo and video equipment, other scientists will also be concurrently studying, among others, the impacts of humans on sea turtle populations and the abundance and distribution of cetaceans(whales and dolphins). Many of our customers visiting the Amazon or the Galapagos share a high interest in conservation issues and research projects. Divers booking cruises on the Galapagos Sky, travelling alongside scientists should be happy to know they are indirectly supporting conservation projects in the Galapagos Islands. Even if you are not a diver, all visitors to the islands contribute to the conservation of the islands and their wildlife through their park entrance fees. Rainforest Cruises offer 8-day itineraries aboard the 16-passenger dedicated dive live-aboard Galapagos Sky, visiting the world famous dive sites of the northern Wolf and Darwin Islands. If diving isn’t your thing, 8-day superior cruises aboard the 20-passenger M/Y Eric or identical sister yachts Flamingo and Letty, run by the same environmentally-friendly, family-owned cruise operator, are also available. To reserve a cabin or private charter onboard the Galapagos Sky, or any other Galapagos cruise, please contact us!